Chennai-based agri-tech startup Airwood Aerostructures Pvt. Ltd has raised an undisclosed amount in seed funding from StartupXseed Ventures LLP, a top executive at the venture capital firm said. Airwood’s patent-pending drones are retrofitted with multispectral cameras and fly around plantations capturing real-time data on weather, water availability and crops. It also provides advanced nutrient testing and soil measurement services. This can help farmers monitor plant growth and yield. 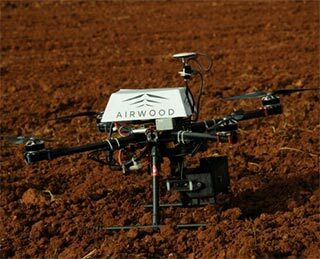 BV Naidu, managing partner at Bangalore-based StartupXseed, said Airwood can help farmers substantially improve productivity. Airwood was incubated at IIT Madras in January 2014. It is led by co-founder and CEO Vivek Rajkumar, an alumnus of the institute who has previously worked with consumer goods maker Procter & Gamble. Rajkumar couldn’t be immediately contacted for a comment. Seed-stage VC firm StartupXseed is led by bureaucrat-turned-VC investor Naidu. It is backed by former Infosys board members V Balakrishnan and TV Mohandas Pai, as well as Manipal Group scion Ranjan Pai and others. It invests from Aaruha Technology Fund, which it floated in August last year with a corpus of Rs 30 crore. The corpus has now been expanded to Rs 100 crore. StartupXseed has so far invested in a range of Rs 75 lakh to Rs 1.5 crore in five startups including Airwood. It had earlier invested in unmanned aerial vehicle startup Aarav Unmanned Systems and IT security firm Shieldsquare.